AUSTRALIA is in danger of losing prized access to one of its highest value beef export markets as the United States moves to assert its trade weight in Europe. At stake is a share of the lucrative European Union grainfed beef quota, which allows tariff-free access to the European market for up to 45,000 tonnes per year of beef produced from non-hormone treated cattle. The zero-duty quota is shared between several competing suppliers including the US, Australia, Argentina, Uruguay and New Zealand. Indicating how valuable the market is to Australian exporters, Australia exported about 13,000 tonnes of premium grainfed beef worth $200 million via the tariff-free quota last year, and has exported up to 17,000t annually under the quota in the past. The US has long viewed the quota as its own, because it was initially established by the EU in 2009 as a compensatory measure after the US won a 2008 World Trade Organisation challenge against the EU’s refusal to import hormone-treated beef. In order to be WTO compliant, the quota had to be established by the EU as an ‘all-country’ quota, which saw other qualitying countries including Australia also gain access. In recent years the US has increasingly called for its own country-specific share of the EU grainfed quota, and it appears the EU is now moving to grant the US its wish. In a formal statement issued in early September the European Commission said it was planning to allocate to the US “a part of the existing quota that is also available to exporters from other countries”. The Commission has stated that the size of the quota will not increase above 45,000t and that any redistribution must be compliant with WTO rules. Herein lies the key challenge for the European Commission: how to grant a country-specific quota without breaching WTO rules and impinging on the rights of other quota suppliers including Australia which would be disadvantaged if the US is granted its wish. 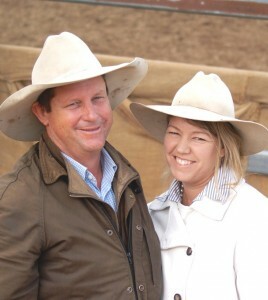 Australian beef exporter and EUCAS accredited cattle producer Josie Angus said in-market feedback suggests that Europe is preparing to grant the US a country-specific quota of 35,000t, leaving the remaining exporters – Australia, Argentina, NZ and Uruguay – to battle it out for the remaining 10,000t. Commercially, sharing a 10,000t quota between several exporting countries would reduce market opportunities to “pot luck” for each exporter and would render the quota “unworkable and unusable” for those remaining countries, she said. Granting the lion’s share of the quota to the US would translate to Europe cutting overall global access to its market which was not compatible with WTO rules. Whether the US could supply the market with that volume of non-hormone treated beef is questionable, she said. As US beef analyst Steve Kay explained in his monthly Beef Central column last month, any US beef destined for the EU must be produced under USDA’s “Non-Hormone Treated Cattle (NHTC) program”. “Only 150,000 to 175,000 US cattle are certified under this program each year, so giving the US more of the 45,000t quota is an empty gesture,” Mr Kay wrote. The US ‘ continued aim is for the EU to grant access to hormone-treated beef, arguing there is no scientific justification to support the EU’s resistance based on health concerns. However the EU commissioners continue to state the EU’s opposition to hormone treated beef which they say is necessary to protect European consumers. The European Commission has requested a mandate to negotiate what portion of the existing quota it could allocate to Washington. That approval is expected to be granted at a European Council meeting next week, o by early next month at the latest. Mrs Angus fears a deal has effectively already been negotiated between the EU and the US, and by the time the EU Council grants a mandate to negotiate in coming weeks, it will be too late for Australian negotiators to influence the decision. She said Australian agriculture was already disadvantaged by a significant trade deficit with the EU. Australia imported more than 80,000t of subsidised European pork each year, she said, while Australian cattle producers had to “squabble over the scraps” of European beef market access. 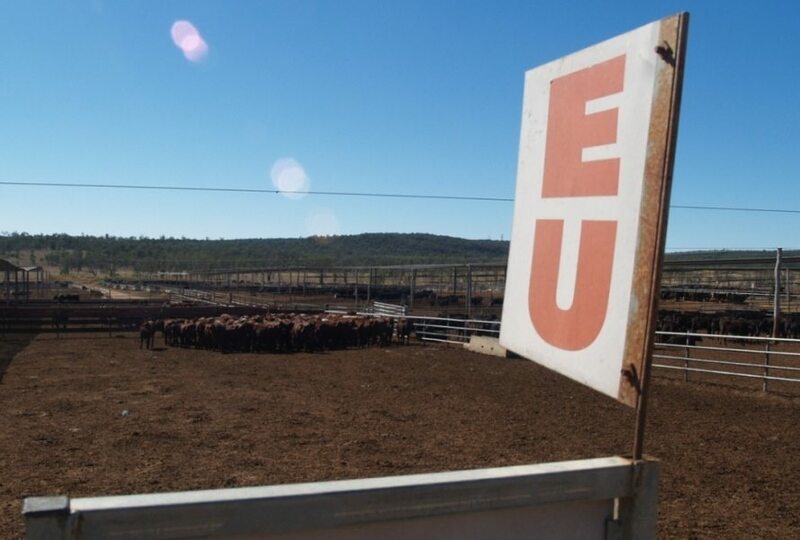 She said Australian negotiators had to act on behalf of Australian producers, and warned against surrendering a valuable share of the tariff-free quota to Europe in exchange for “some far off promise of a good deal in a free trade agreement for Australian beef”. “What we have to realise, Canada just finished their FTA with the EU, it took them 8 years. “The best guesses for an Australian FTA will be six or more years, any customers we had will have gone for the hills by then. 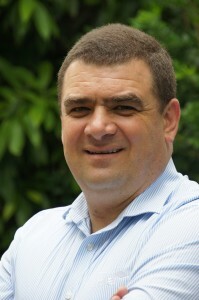 Jason Strong, the chair of Australia’s EU and UK Red Meat Market Access Taskforce, told Beef Central on Monday the risk of losing access to the grainfed beef quota was serious and the industry and the Australian Government had been working closely in recent years to protect Australia trade into the EU. Mr Strong said the industry will not know the exact nature of the potential change until the details of the mandate being sought are released. “But even so we aren’t waitng until then to take action, the industry has been taking action toward this issue for some time,” he said. “We have a very good consultative process in place on how we actually attack this issue. “Any material change to that quota where a chunk is carved out would have a material impact on Australia. It remains to be seen how the Commission can redistribute quota to the US while ensuring the quota remains open to all, as the WTO demands. “It has to be WTO compliant, and Australia has to approve it because we’re a substantial supplier of the quota,” Mr Strong said. He also added that the grainfed beef quota negotiations were “completely separate” to Australia’s negotiations to develop a Free Trade Agreement with the EU. In effect this meant Australia had additional latitude to take a hard line if required in these discussions. Mr Strong, who has previously held the role of Meat & Livestock Australia’s Europe region manager based in Brussels, said the EU was a market Australia was strongly motivated to protect its share of. “On a per kilo basis it has consistently been one of our highest value markets,” he said. 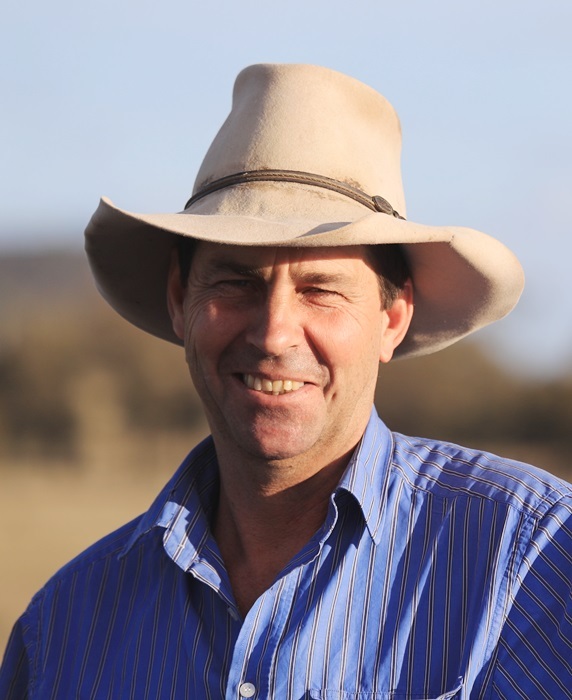 Cattle Council of Australia president Howard Smith said there are compelling reasons for Australian grainfed beef to maintain its current access to the EU market via the 481 quota. He said Cattle Council had been actively working to ensure the Australian Government gets a good result for producers in relation to quota negotiations. “Our EU customers recognise the quality and integrity of our EUCAS grainfed beef and, in recognition of the value of our important trade relationship and in line with WTO requirements, the EU will continue to consult with Australia regarding any potential changes to the quota,” Mr Smith said. Yeh for the day goes to Patrick Burgers. Jason Strong states “we have made significant investments on a supply chain basis to make sure we can produce consistently for the market and that is why it is so important” understatement of the day! We have self imposed a program upon ourselves in EUCAS that sets a higher bar for our supply chain than was necessary to gain market access. It is my understanding that pork currently comes into this country with no tariff and no quota, we then expect our local pork producers to then compete with this product which is subsidised(as mentioned above), this subsidised, no tariff product then sits in a retail cabinet in the same area as our beef, go figure? We also have a significant trade imbalance with the EU, where’s Donald Trump? We can solve this. 2 options, the Trump way. Impose $2,70 importduties on EU pork. This to compensate the 4,50€ a kilo that the EU charges on beef. Australia gives 80.000t for pork imports. Who should we call !